TUESDAY, May 2, 2017 (HealthDay News) -- Patients who have heart valve surgery get better results and are more likely to survive if their surgeon does a lot of the operations, a new study. Researchers from Mount Sinai Health System in New York City studied New York state data on patients who had a type of heart operation called mitral valve surgery between 2002 and 2013. Damaged mitral valves can be either repaired or replaced. Mitral valve repair has several important advantages over valve replacement, including better life expectancy and quality of life, according to background information with the study. However, among heart surgeons, there is a great deal of variability over their choice of surgery, the researchers noted. In the study, those patients whose surgeons did more than 25 of the operations a year were more likely to get valve repair than replacement, and their repair was more durable than those by surgeons who do the procedure less often. Patients operated on by higher-volume surgeons were also more likely to be alive a year after their operation, the researchers found. The study was to be presented Tuesday at a meeting of the American Association for Thoracic Surgery in Boston. It was published simultaneously in the Journal of the American College of Cardiology. "This study adds further clarity to the American Heart Association and American College of Cardiology guidelines, which already recognize that patients with degenerative mitral valve disease should be referred to experienced mitral surgeons whenever feasible," senior study author Dr. David Adams said in a health system news release. Adams is cardiac surgeon-in-chief at Mount Sinai. "Our study found for the first time that individual surgeon volume was directly linked to freedom from reoperation and survival after one year in patients operated on for degenerative mitral valve disease," he said. 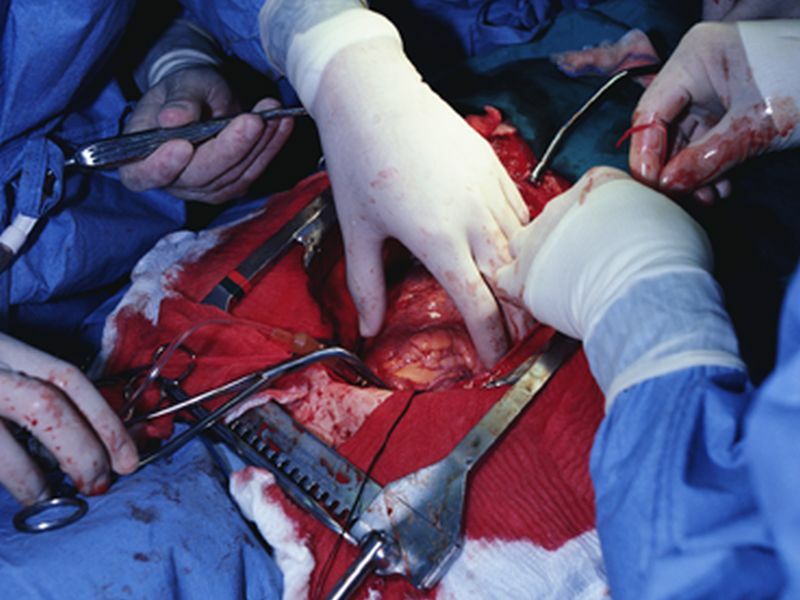 Among surgeons who did any mitral valve procedures, the median number of cases was 10 a year. Half had more, half fewer. Overall, slightly more than half of patients, on average, had valve repair, not replacement. Surgeons who did the fewest operations (under 10 a year) did repairs in less than half the patients, the study found. Doctors with the most surgeries (more than 51 cases a year) did valve repairs, not replacements, almost 80 percent of the time. Study lead author Dr. Joanna Chikwe is clinical professor of cardiovascular surgery. "There is now a fair amount of medical literature supporting the case that high volumes generally lead to better surgical outcomes, in a wide variety of fields," she said in the news release. "This study shows that for patients undergoing mitral surgery, both immediate and subsequent outcomes were influenced by the individual surgeon's experience," Chikwe added.